Call it high-tech take on an old tradition. 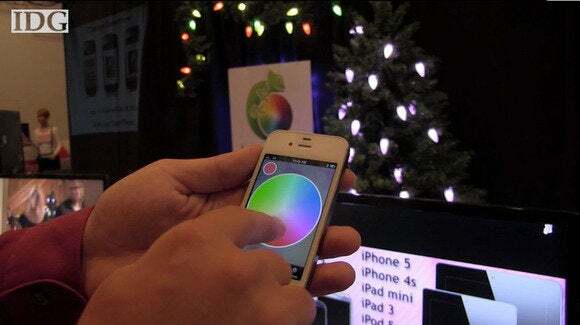 By outfitting Christmas lights with RGB LEDs, you can control them via smartphone to make just about any color of the rainbow. Lumenplay lights can be set to different colors and patterns; users can also adjust the brightness using a smartphone app on either Android or iOS devices. There’s also a music visualizer that makes the lights pulse to the beat. A 10-foot strand has 15 lights and costs $59, with a 20-foot strand available for $89. We take a closer look at Lumenplay in this video report from CE Week in New York.